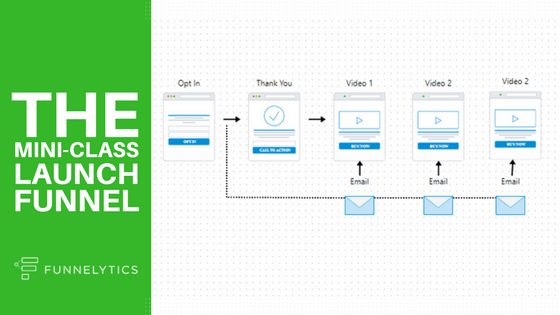 What better way to pre-frame your audience and showcase what your product is all about with a mini-class launch funnel! (Also called a product launch formula made famous by Jeff Walker). 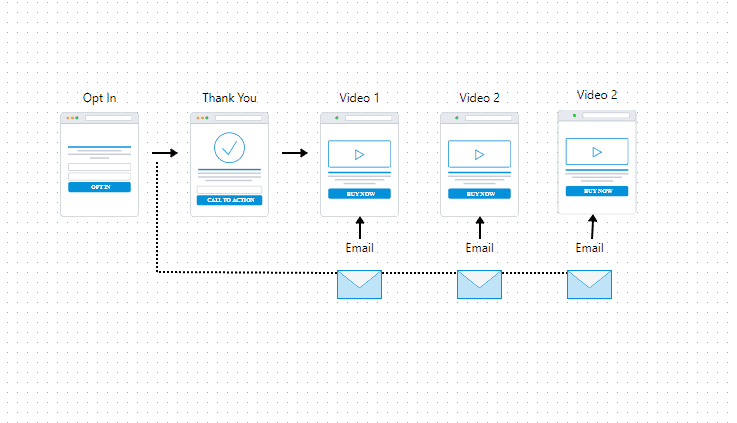 What is a mini-class launch funnel? The goal of the mini-class series is to educate prospects (mainly warm and hot leads) while at the same time selling your products. The funnel is broken down into 4 parts… Video 1 is called the “Wow + How” where you will talk about your big idea and show them how you and others are using this concept. Video 2 is called the “Transformational Education” where you will let people behind the scenes and walk them through the process. Video 3 is called “Ownership Experience” where you show the viewers what’s its like the have the end result. And last but not least is video 4 where you make the offer and sell your product. As you can see the guy’s from Sam Cart nailed the product launch formula setup which ended up making them over $1M in sales. As you can see video one is all about the “Wow + How” showing you how they each fan brought them $15.42 EACH. Then with video 2 they show you behind the scenes of how they were able to achieve this by revealing their funnel. With video 3 they showed how it worked for their business and how it was helping others. And of course the last video pitched the offer which would get teach you the exact system to replicate their results. They also added social proof by enabling Facebook comments which is highly recommended.